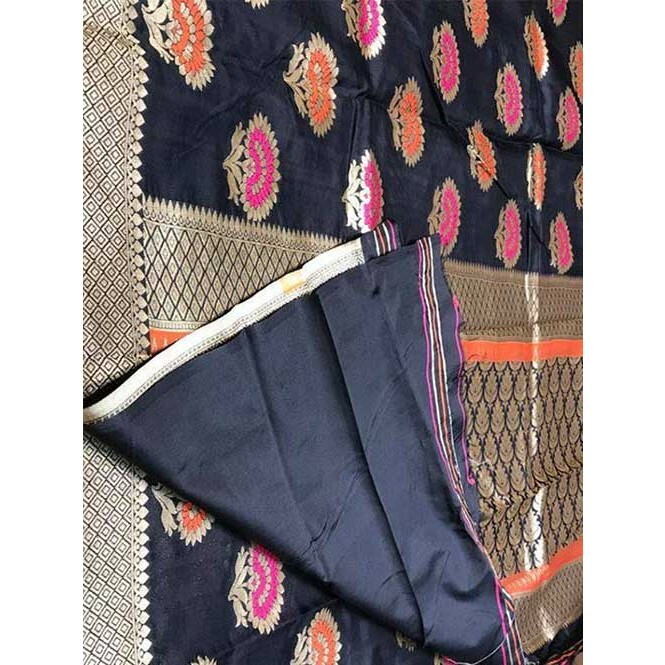 Add colors to your wardrobe with this elegant collection of Black Colored Beautiful Waving Silk Saree with blouse piece. 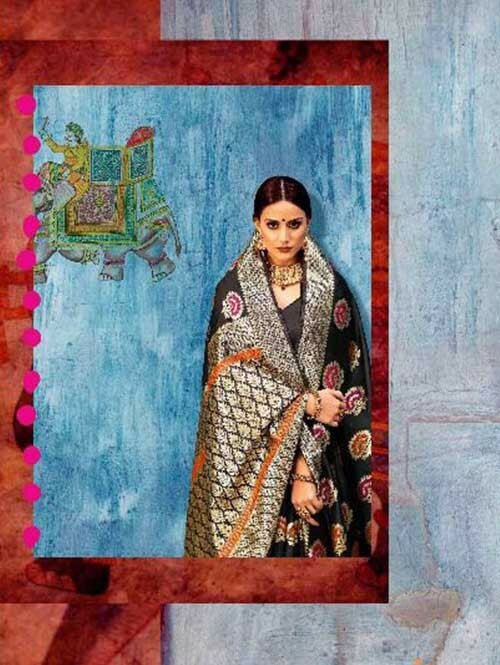 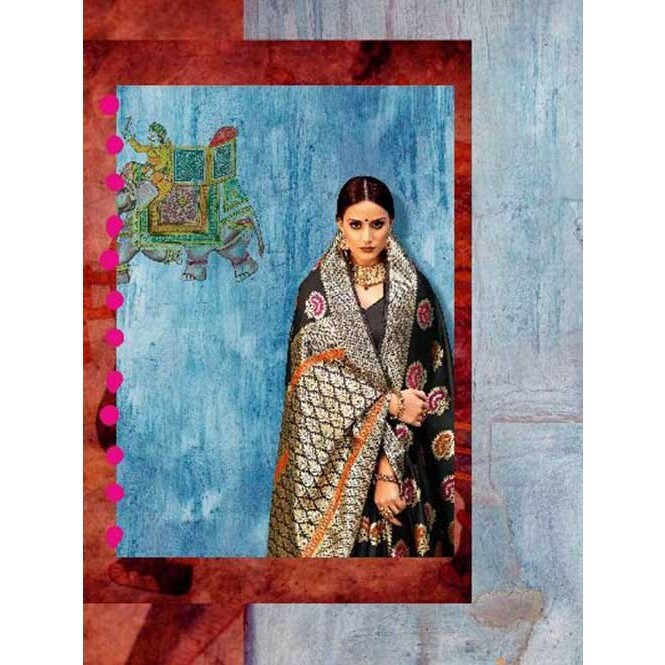 Featuring an attractive work, this saree will be of great collection in your traditional wear. 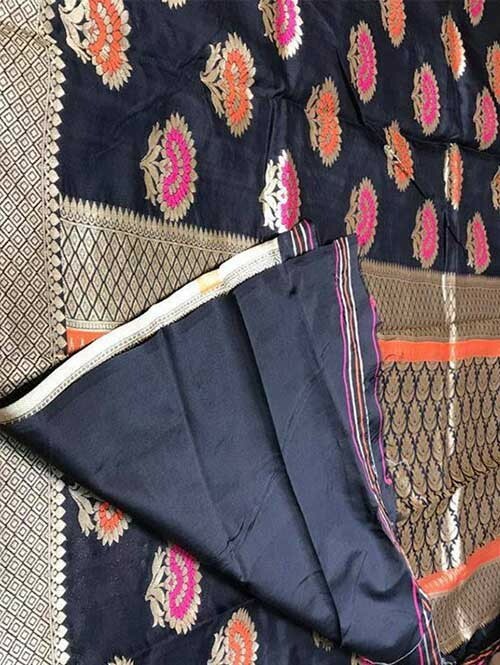 It is designed in order to give you a complete ethnic & classy look.These sarees are very demanding in today's fashion era because of their silky soft texture and very light weight.